The technology push award. The first award goes for the example that best demonstrates why good technology alone does not create value. This year the award also could be renamed the award for technology-without-a-plot-does-not-an-entertaining-movie-make. 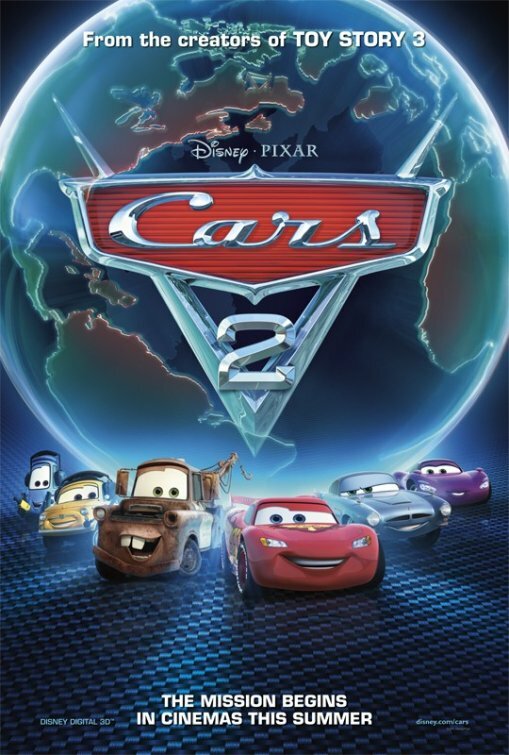 That is because it goes to Cars2 from Pixar. I am listing this one first because I took this failure personally. I have attended every single Pixar movie ever released, including many of its short films back in the day when these only played at film festivals. They had never failed me until this one, and this one hurt me where it counts, namely, with my kids. I insisted we see it and they thought their dad has lost his touch. Every ten minutes my seven year old would turn to me and whisper, asking a question about what was going on. My nine year old just sat there and remained confused. No other parent in the theater told us to be quiet, because their kids were asking questions too. This is the same studio that made Wall-E and Up? Every studio puts out turkey now and again, but never Pixar, not until this one. Let’s hope they learned their lesson. Guys, it’s the story, not the technology. Break it and they will not come award. Speaking of fragile, this next award could be renamed the-business is-more-fragile-than-you-thought-award. It goes to CEO of NetFlix, Reed Hastings. He did what nobody thought possible, screwing up a viable entrepreneurial business in the name of a bad strategy, which is quite impressive in light of several years of making good strategic choices. He managed to anger more than half a million subscribers, which then led to a massive stock devaluation. And for what? Let’s see. It had something to do with splitting up the organization and renaming part of it and… oh, never mind. I still don’t think I can explain this strategy or why it made sense to somebody. In any event, it is a good bet that this year Hastings will not appear on any magazine covers as CEO of the year, as he did last year. What were they thinking award. 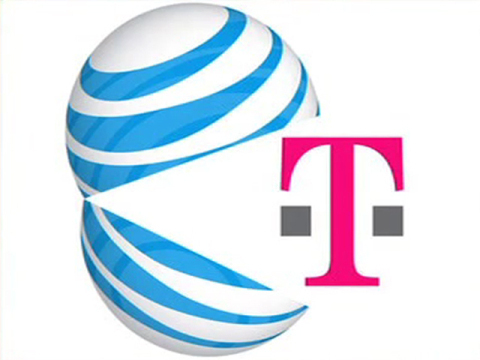 Speaking of not making sense, this year the award just has to go to the management at AT&T for seeking to buy T-Mobile. They did not win for the idea, but for how they executed on it. Any sane observer — except, perhaps, an extreme libertarian — could see that this 39 Billion dollar merger raised serious antitrust questions. Did management have a plan for handling those issues? Well, potentially they could have, but as it turned out, no, they did not. They had “talking points”, to be sure, but these were public relations statements without real substance behind them. The management seemed to think that enough political influence and enough smooth talking and a few public endorsements from (obviously self-interested) organizations would be enough to get the merger the regulatory approval it needed. After all, that had worked in the past. Amazingly, it almost did here too. Why did it fail? There are many reasons, but for this award it is important to stress that AT&T’s management got greedy, seeking regulatory approval without concessions. That generated the predictable response from the staff at the FCC and the antitrust division at the DOJ, who kept asking pesky questions – such as, how could this merger be worth 39 billion without raising prices? And if AT&T could finance a merger this big, why couldn’t they simply finance a build out their own network, which would not eliminate a competitor? Rumor has it that AT&T negotiated without ever acknowledging the elephant in the room, and eventually the staff gave up trying to find common ground, which is what the staff always prefers to do. And so, after months of frustration, out came the lawsuits to block the merger. Note to management at AT&T: you want to live with the government? Then do not drive the staff to endless distraction by instructing your representatives to deny what everyone else can see. 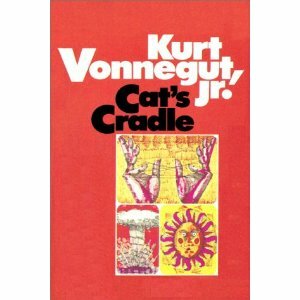 The Cat’s Cradle award. This next award goes to the firm who came closest to realizing the plot of Kurt Vonneget’s book, Cat’s Cradle. In this piece of fiction, Vonnegut describes the arrival of the apocalypse, which comes about when all the world freezes over. For those of you who have never read this book, (spoiler alert) the world ends from scientific invention that freezes water. At first it is contained, but little by little it spreads, and human governments cannot manage to keep it concealed in a safe place. In Vonnegut’s vision, the end finally arrives due sheer incompetence, and it is an absurd vision at that. (end of spoiler) It was no contest this year. The winner this year has to be the management at the Fukshima nuclear power plant in Japan. (Yes, I know this falls outside the criteria to focus on IT, but this example is too good to pass up, so just go with it, ok?) Having been warned years ago by experts that its backup reactors needed to be moved to high ground, the management decided to save a buck and ignore the advice. When a Tsunami hit this year, the backup generators on low ground became flooded (duh! ), and failed, and, as expected, the nuclear reactor overheated, which required heroic acts from many employees to prevent it from becoming worse. Let’s hear it for penny wise, and Chernobyl foolish. So it goes. Who put them in charge award. Speaking of near nightmares, a special category of award goes to governments that find interesting ways to abuse new technical capabilities. This year the Mubarak regime wins in a close race with the Iranian regime. To be sure, this one is a judgment call. It is hard not to give an award to the Iranian regime because it is so consistent year after year. It employs brutal thugs to suppress religious freedom in the name of a specific religious interpretation, and, in addition, the government’s dogged pursuit of nuclear weaponry makes them a good candidate for the Cat’s Cradle award. Yet, for novelty the Mubarack regime was hard to top. 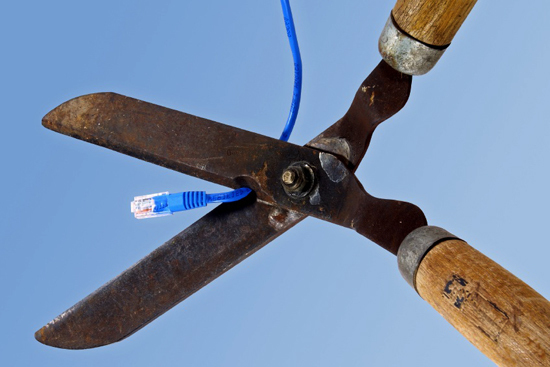 After all, the Egyptian government turned off the Internet in Egypt, and in just a few hours. As it turned out, it took very little effort, a few phone calls from the government security apparatus to a few key players (as if this had been planned far in advance). 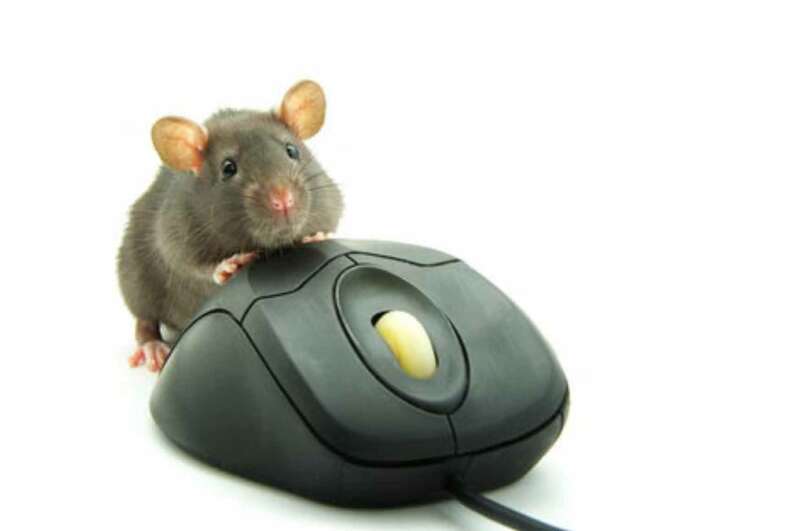 To be sure, many Internet experts had speculated that such action was possible, and certainly the Chinese government has demonstrated the potential for an impressive degree of filtering, but nobody had seen a government actually turn off the entire Internet. It was breathtaking to witness! Egypt cut its Internet off from the outside world with remarkable speed and, ah, with a calculating madness that Voldemort would admire. Of course, rather than chilling the protest it just reminded everyone about why they were protesting. 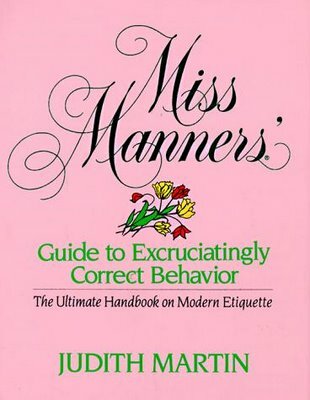 Miss Manners would not approve award. While we are on the subject of audacious actions, this next award is for an audacious action too. It goes for violating a societal norm that supports a technology. This year it goes to the management of Murdoch’s “News of the World” for hacking into phone messages (of dead people, no less). Now, to be sure, this award required stretching the rules, since the actual offensive acts were performed a few years ago. It qualifies because these acts only became publicly known recently. How bad was this act? Well, commentators were not debating the actual facts, but, rather, only debated how bad a spin to put on those facts. In this case, commentators debated two options, whether management (a) knowingly turned a blind eye on unethical behavior it had unwittingly encouraged, or (b) management actively encouraged unethical behavior from reporters by rewarding it. Whew, those are some tough choices. Make no little plans award. Sticking with this audacious theme, this award goes to the gutsiest strategic action in tech markets in the last year. Of course, AT&T was up for this award, but this is not the academy awards, with multiple awards going to the same recipient. It is more fun to involve someone else, so this year the award goes to Google for bidding to buy Motorola Mobility for twelve billion dollars. Let’s hear it for doing the unthinkable, such as — I dunno’ — managing a hardware business about which the new owners know very little. Let’s all recall how this happened. Larry Page decided last year he wanted to be CEO of the company he founded, kicked Erik Schmidt out of the executive office, took over Google, and wasted no time taking bold action, making this bid. 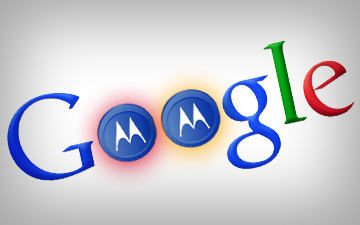 By some estimates two thirds to three quarters of the value of Motorola comes from the patents Motorola holds. Wow, is that ever bold! Larry may have to be a quick study, however. The last time I checked, managing some of the world’s software engineers is quite different from managing some of the world’s best hardware engineers. Let’s also note that, in case it was in doubt, this move confirms that this a good era in which to be a patent lawyer who specializes in the communications world. The passive judiciary award. Speaking of patent suits, now it is time for the award for stupidest judicial award by a non-technologist. 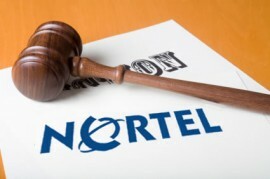 While there are many candidates, perhaps none surpasses the judicial decision to allow all the patents of Nortel to remain intact as one big solid pool to be sold to the highest bidder. The US Department of Justice actually cleared this one, and without restrictions on the sale. As many a commentator pointed out, why did the rights of the debtors take precedent over everyone else’s rights? After all, that patent pool was, in effect, a large right to exclude competitors in many communications markets – such as, let’s see, smart phones, which is, after all, one of the fastest growing technology markets in years. Why does an effort to blindly protect the debtor’s right to get a few more dollars get precedent over the potential negative spillovers that the patent pool might create for the fastest growing market in tech? For goodness sakes, would it have been so hard to make the sale contingent on the buyer agreeing to license the patents at reasonable and non-discriminatory rates? Without such restriction this sale was the equivalent of selling a tank to one side of the gunslingers at the OK Corral. After a consortium (which included Apple and Microsoft) won the bidding and Google loss, was it any surprise Google thought they were in an arms race and had to make another massive purchase of patents? Was it any coincidence that the Motorola purchase occurred just a little later? Pointless political moment award. While the bickering in DC has yielded many fine candidates for this award, I do not want to use this space to celebrate dysfunctional government. Instead, let’s celebrate something a little less painful, namely, a waste of time during a hearing. Perhaps that is also a symptom of dysfunctional government, but I would prefer to focus on actions that did not disrupt the worldwide market for US government bonds. In any event, the winner is Erik Schmidt, who testified to the Senate on behalf of Google. Call me old-fashioned, but is it asking too much to expect a witch hunt to contain content and tension? More to the point, hearings are supposed to have moments when Senators ask pointed questions and witnesses squirm under the bright lights of exposure. 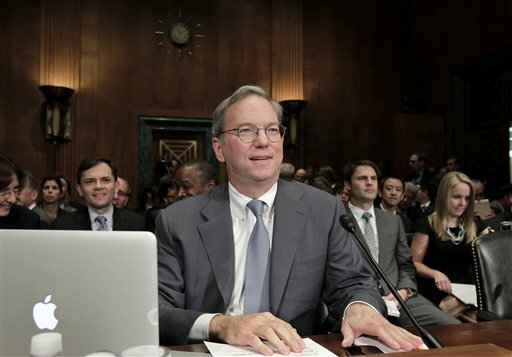 Well, damn, in my view the most interesting fact to emerge from the hearing was the brand of Schmidt’s laptop (Aren’t Google and Apple squabbling now or can Schmidt not bring himself to use a Microsoft product?). More to the point, by my count, there was only one gotcha moment in this hearing, which is a pretty poor use of three hours of a Senator’s time. What was the point of this hearing? It appeared to be either (a) a very expensive way to reward Erik Schmidt for being kind to the ecosystem during his tenure, or (b) a very elaborate way to warn to Larry Page, now that he has taken the reins, to play as nicely as Erik did. In either event, it still seemed like a waste of time. The linguistic award. Let’s change direction. It is time for the award for most interesting new socio-tech word, which has a political element to it this year. This year the award goes to the word “Wikileak.” In 2011 it was officially crowned as a new word by the global language monitor. In case you have not been paying attention, “wikileak” means “becoming known quickly in spite of efforts at concealment”. Wiki means “quick” in Hawaiian. Whether you regard the folks who leak government material as saviors or misguided, let’s give them credit for changing the way many of us think about these issues. Hope triumphs over experience award. This award goes to an entrepreneur for keeping to an entrepreneurial vision in the face of all evidence to the contrary. This year the award goes to Groupon. Despite all the commentary that says their business model has no sustainable competitive advantage, the founders turned down a six billion dollar buyout from Google, and the management insisted on going forward with an IPO. To pile it on, no commentator has found a kind word for Groupon since then. Gosh. That is a lot of money to turn down in order to stubbornly pursue a dream. Well, to heck with the consensus! Stubborn pursuit of entrepreneurial goals deserves some grudging respect, even if it does not get anybody’s dollars. Go for it, guys! I hope they prove everybody wrong, or, at least, they are still in business three years from now. 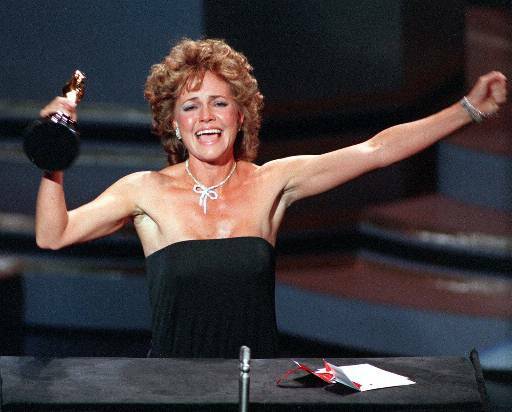 The human comedy award. No, this is not an award for stand-up comics. For those of you who do not know the William Saroyan novel, the title is ironic. Each year there needs to be an award to remind us all that there is more to life than merely technology. 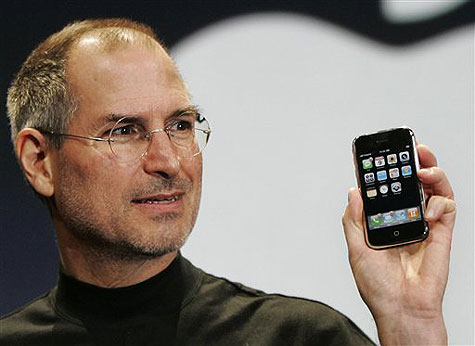 The winner this year marks the saddest moment in tech business: Steve Jobs’ announcement that he was stepping down as CEO of Apple. It does not matter whether you admired him or despised him in his professional role, on a personal level this is just awful. He was only 56 years old and his kids were not fully grown yet. It is just too soon. There you have it! Those are my awards for the year. What are yours? Nice artwork: clearly you had time on your hands after the 8 days of Hanukkah. But somehow Steve Jobs and his fatherless kids seem trivialized when lumped in with this group of (mostly) buffoons.